Passive Speaker -- Requires Power Amplifier! 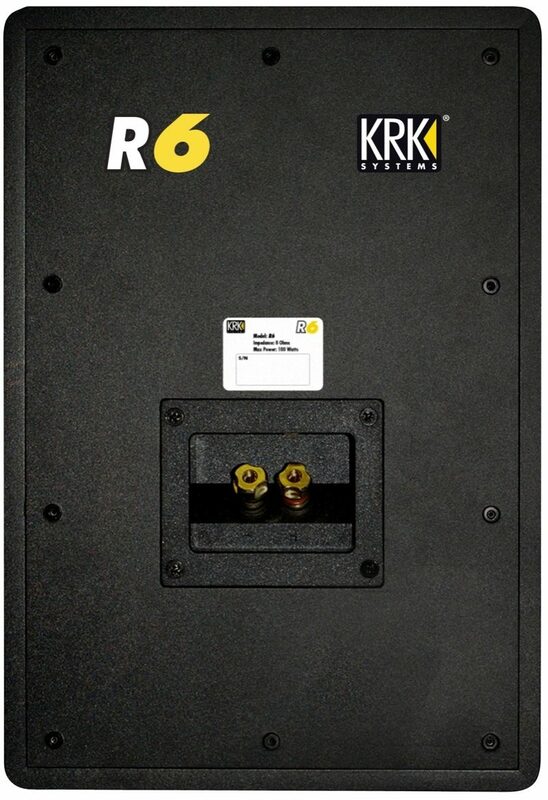 Note: The KRK R6 G3 is a passive, unpowered speaker and requires a separate power amplifier to operate. This speaker can handle 100 watts of power into 8 ohms. The KRK R6 G3 passive studio monitors have an incredibly flat frequency response that gives you an accurate and clear representation of your mix. "Flat" doesn't mean that they lack high or low end response, but that they let all frequencies sit just right in your mix, not competing against one another; in a pair of studio monitors, you want to hear exactly what's on each of your tracks, as you recorded it, not with excessive, booming basses or shrill, boosted highs. The KRK R6 G3 monitors are all about clarity and sound, and lots of it. 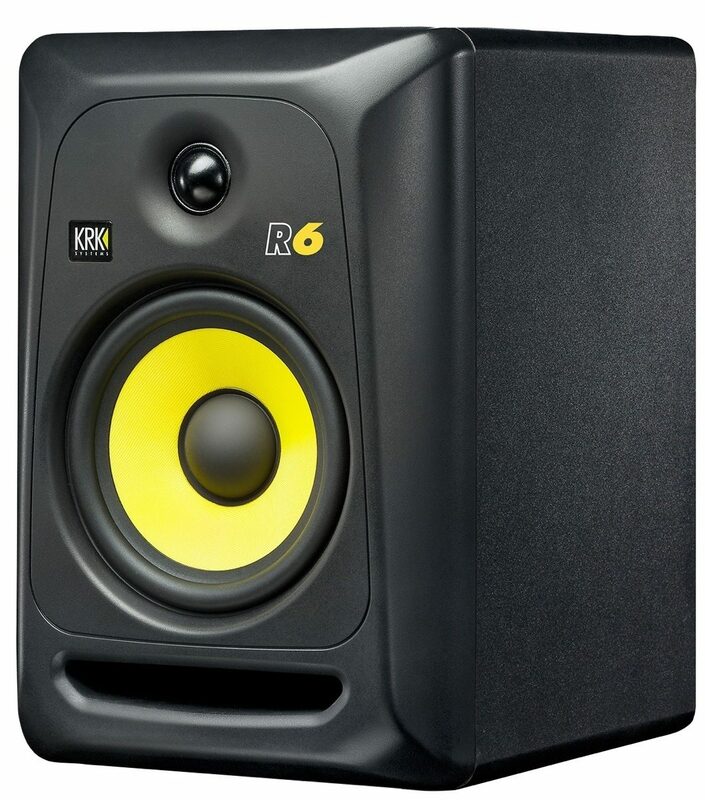 KRK has been the standard in home studio monitors for years, and the R6 G3 monitors continue that tradition as a well-designed and fantastic sounding passive monitoring option at a price point that can't be beat. KRK's monitors have always had an eye-catching color scheme, but what has made them an industry leader is the smart design and great sound. The R6 G3 monitors have a curved design that reduces diffraction at the edge of the cabinets, which can cause phase distortion. KRK monitors stand out from their competitors with their curved edges. Many other monitors have rear-firing bass ports, which can cause bass buildup in the walls and corners behind the monitors, coloring a mix and misrepresenting the sound that you're hearing. KRK has designed a wide, front-firing bass port that reduces this distortion, giving you the most accurate bass response possible. The R6 G3 monitors are built with a 1" neodymium soft dome tweeter and a 6" glass aramid composite woofer. The tweeter is designed with a unique waveguide that provides a wider sweet spot and accurate imaging to help you get your mix right the first time. The R6 G3 passive studio monitors just need to be hooked up to your favorite power amplifier to fit right in to your studio setup. If you're just in the market for a great set of speakers for your audiophile stereo rig, the R6 G3 monitors will be a great fit, hooking up to your receiver with standard binding posts that accept banana plugs or raw wire. Each monitor is rated for 100 watts of power at 8 ohms -- to supply the proper wattage to the speakers, connect them to a power amplifier that can deliver 150-200 watts at 8 ohms (per channel). 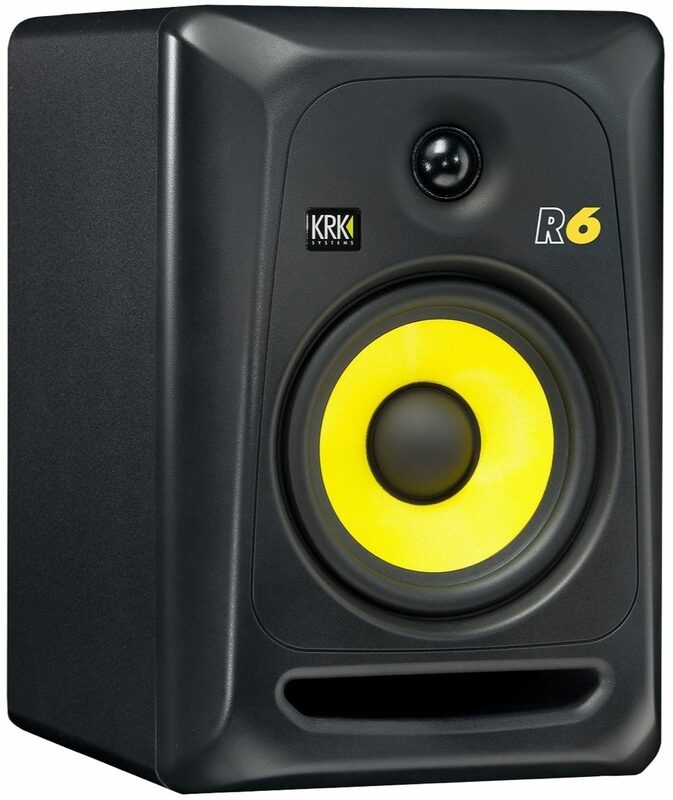 Passive but Bold, the KRK R6 Generation 3 Passive Unpowered Studio Monitor is the passive version of the industry standard Generation 2 RoKit Studio Monitor Series from KRK Systems. For years, the RoKit series has been a popular choice for accurate monitoring in studios large and small. Now, the R6 provides a standard in passive monitoring with better performance and accuracy, raising the bar once again. Considering KRK has always been the standard, this is a lofty claim. But with the R6, you will hear the truth. Overall: Love these speakers. Using them with my home studio / electronic drums along with the KRK 10s subwoofer. Amazing sound quality and everything sounds so true to life. Style of Music: All kinds. 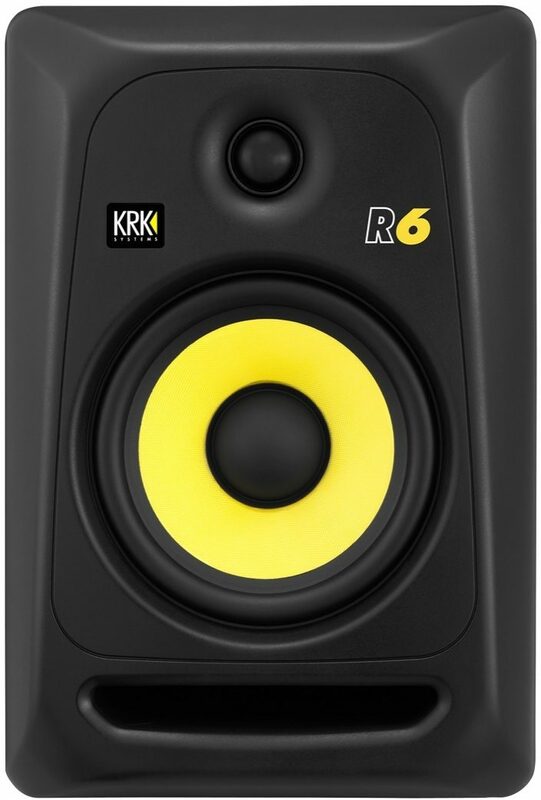 "KRK R6 G3 Powered Monitors"
Overall: They don't disappoint, the sound quality is awesome!!! They have a killer look!!! Very user friendly Great frequency response. Darn glad I purchased them. 16 of 25 people (64%) found this review helpful. Did you?